Have you considered if your organization can, or is, utilizing barcode technology efficiently? Are you aware of all the capabilities available to you with the latest barcode advancements? Perhaps you are just in search of a barcode supplier that can provide industry compliant clean room labels for your current barcode system. We appreciate the opportunity to introduce you to Tri-State Business Systems. Tri-State Business Systems, or TSBS, is known for delivering barcoding supplies, equipment and software that makes our clients more efficient. 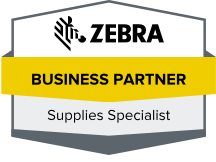 From our in stock supply of Z Superme Zebra Labels to our on staff barcode engineers, we’ve got you covered. Many organizations drift from supplier to supplier, looking for the best price or the products they need. Here, at TSBS, we have made a commitment to be your one source for everything you need for barcoding solutions. We are here for medical, pharmaceutical, and hi-tech companies when they need clean room labels. We are here for manufacturers when they need durable barcode scanners that will stand up to hard work. We have the software solutions suited to your particular situation. We have been doing it for over 20 years. We keep Z Supreme Zebra Labels in stock and ready to ship. We keep Zebra ribbons in stock. We keep an array of major manufacturers parts and supplies in stock to keep you up and running. If you have yet to order from Tri-State Business Systems, we ask that you give us a try. Make a small order with us. Ask our barcode engineers the questions you need answers to. Ask about our satisfied customers. We think you’ll make TSBS your one-stop barcode equipment, supply and software solution company. Contact us today, we look forward to assisting you.